What in the world is a digital nomad? Many in the business world aren’t sure what this phrase means. Terms like “telecommuter” or “remote worker” are more common. Essentially, they all mean the same thing: someone who does their job online (or, occasionally, over the phone) from their location of choice instead of going into an office each day. The reason for the shift in terminology may reflect a new emphasis on how remote work and travel can be tied together. 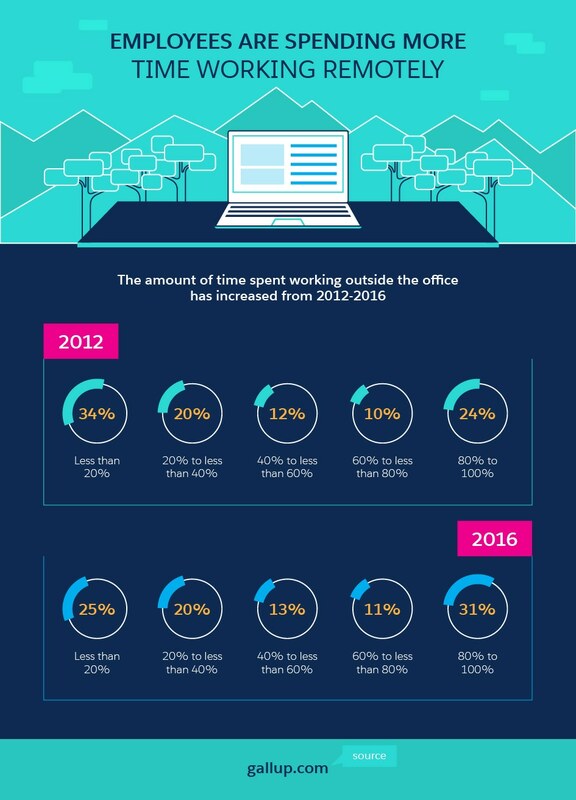 While many modern telecommuters simply work from a home office, an increasing number are moving long term to international locations or working remotely while exploring multiple new places. For these workers, being a digital nomad is a lifestyle, not just a type of job. While digital nomadism started out as an option mostly among programmers, writers, and other “back-of-house” and creative positions, the number of salespeople, marketers, customer service agents, and personal assistants working this way is increasing. In fact, Peter Levels of Nomad List predicts that in the next 20 years, more than 1 billion people will be digital nomads, all thanks to technologies such as cloud computing and cloud-based customer relationship management (CRM) platforms. An anthropologist would point out that nomadism isn’t a new concept: Humanity began as a nomadic species. People built settlements when technology (such as farming, architecture, and animal husbandry) made a stationary lifestyle both possible and necessary for growth. When generating resources, later known as employment, became location-dependent, people increasingly migrated toward larger cities, where the majority of jobs were. So why does this trend seem to be reversing itself? It’s due to another pivotal advance in technology. The internet and cloud computing have enabled increased productivity, communication, and collaboration around the world, from buzzing metropolises to rural landscapes. People in some of the most remote mountain tops (even Everest) and jungles can now connect to the internet and GPS. According to Gallup, “All employees who spend at least some (but not all) of their time working remotely have higher engagement than those who don't ever work remotely.” Digital nomads choose this type of work for many reasons, but chief among them is freedom. While the stereotypical digital nomad is a young, single professional, this lifestyle can suit just about anyone, and professionals in many industries are increasingly choosing the flexibility of telecommuting. Working from a home office allows them to spend more time with family — gathering around the kitchen table instead of the office water cooler throughout the day, for example. The average daily commute in Canada is 29 minutes each way. That’s an hour per day, and can total 260 hours per year. With increasing costs for gas and vehicle maintenance, that commute costs even more. Telecommuters can reduce or eliminate those expenses. Often, remote positions come with the added benefit of flexible hours. This allows employees to get to doctor’s appointments or attend events with their children. Some companies allow remote workers to work the hours that are most productive for them, instead of forcing early hours on a night owl, for example. If they travel, digital nomads who work flexible hours don’t have to worry about shifting their sleep schedules in order to work hours in specific time zones. Another option for those who work remotely is to work the same hours as their co-workers (e.g., 9:00 to 5:00 Eastern Time) while in another time zone. For example, a digital nomad in Bermuda who works for a Toronto firm would work 10:00 to 6:00. Without the need to go into the office every day, remote workers can travel more often and for longer periods. This can bring down the overall cost of travel and allow them more time to truly immerse themselves in a new culture, which may equal a more satisfying trip. The most game-changing benefit for companies with remote employees is the reduction in overhead costs. Not having to rent, maintain, or buy office space for additional employees can save companies a large amount each month, depending on the size of your business. Those companies that require some in-office work or hours still capture some of this benefit by renting smaller offices or by saving on other bills, such as electricity and supplies, on days employees work from home. Remote workers generally spend more time working than other employees. They take fewer breaks, often opt to work even when sick, and have lower turnover rates. 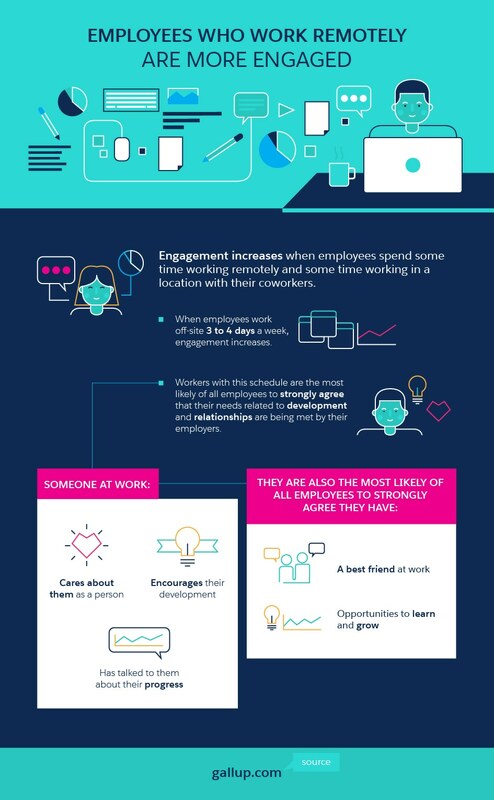 According to CareerBuilder, three out of the top 10 biggest distractions for employees are co-workers dropping by, noisy coworkers, and just plain sitting in a cubicle. These aren’t issues when working remotely. Instead of standing around the water cooler or stepping into a manager’s office every time there’s a question, digital nomads often consolidate their communications into an email or two each day. Internal chat features and messaging also help teams keep in touch instantly from across the room or across time zones. Additionally, team meetings can be conducted via quick video chats each morning or week, instead of at an hour-long meeting in the conference room. More and more of today’s workforce seeks the freedom of location-independent jobs. Savvy employers who want to continue to capture top talent strive to accommodate the digital nomad lifestyle. Between improved work-life balance, opportunities to travel, and the potential for more family time, employers are seeing higher morale among the employees who can work remotely. Digital nomads are often less stressed than in-office workers. Furthermore, employees who work more independently also take more responsibility for projects and care more about their success. According to one study, remote workers are happier, feel more valued, and feel more productive than their in-office counterparts. Digital nomads who have settled into the lifestyle often make better employees. Even the most hands-on management style requires a virtual employee to take initiative and responsibility. They need to excel at time management, stay focused, and learn to use new technologies with ease. These are skills that are essential for management positions in any industry, so remote work can give employees the experience they need to move up in your company. 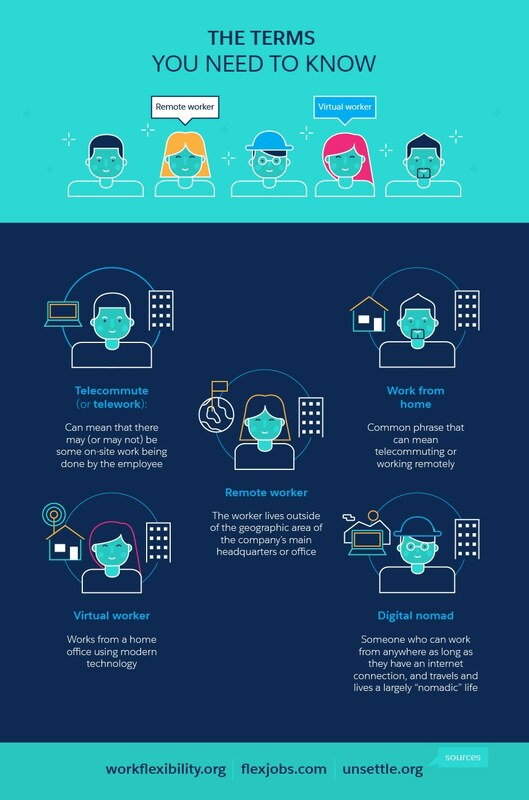 It’s now relatively common for employers to have entire teams work remotely full-time — more than twice as common as a decade ago. 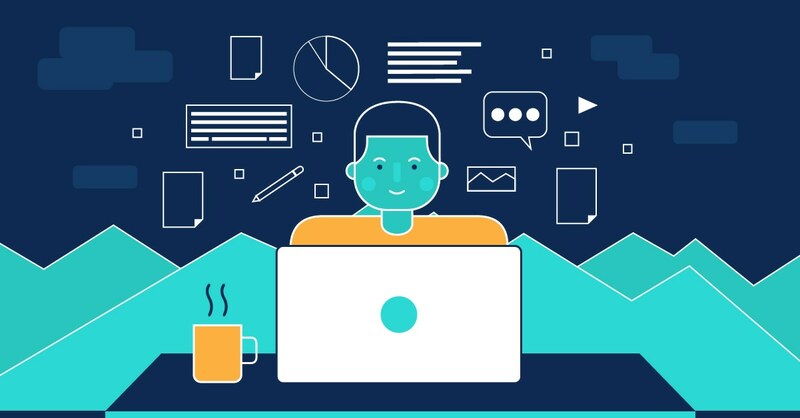 FlexJobs reports that half of employees have jobs that are compatible with working remotely, particularly in fields such as marketing, IT, human resources, education, health, and law. Still, many companies hold back when it comes to allowing telecommuting. Employers cite concerns over productivity and a lack of trust when it comes to time tracking. The truth is, many of these concerns are unfounded for employers that shift their mindset and adopt technologies that help them manage remote workers. With a growing nomadic trend and a long list of employer benefits, many companies are making changes to attract this wave of remote workers. The same principles of management, such as support, communication, and setting and enforcing expectations are applicable to both in-office and telecommuting employees. It’s how managers go about accomplishing these tasks that changes when managing digital nomads. Instead of having in-person weekly team meetings or walking down the hall to chat with an employee, savvy managers have “face-to-face” meetings over the web. Productivity and time tracking can be challenging. Instead of accounting for every minute of an employee’s time throughout the day, remote managers tend to focus on deliverables. Did the employee hit their deadline? Did they turn in quality work? Did they solve problems before they became issues, support the team, and communicate enough? Employers tend to hire nomads as salaried employees or on a project-based rate. Most digital nomads don’t want managers counting every minute of their time. After all, freedom is the main appeal for a digital nomad, and managers who are overly focused on tracking employees’ time may be viewed as micro-managers. There are several important tools for managing remote workers. Most of them fall into three main categories: tracking, communication, and collaboration. Cloud-based applications, including CRM platforms, often have a communication feature. Additionally, products such as Slack, Skype, and Google Hangouts allow for phone, video, and chat communication that are quick and easy. There’s some debate about how closely a manager should track time and productivity of remote teams, but there are options for every management style. Simple time-punching products automatically send data to payroll, while more in-depth applications allow employees to attribute hours to specific projects and managers to look at screenshots to help ensure workers stay on task. One of the easiest ways to make collaboration easy, no matter where your team is located, is to use cloud-based products. Their mobile capabilities allow users to access and update the same information, from anywhere, and on any device with an internet connection. This effectively eliminates most productivity bottlenecks that stem from not being physically in the office. If you’re ready to capture the benefits of allowing your sales and marketing teams to become digital nomads (or to telecommute more often), the right tools are critical for your success. You need software that supports collaboration, communication, and workflow tracking so your teams can be more productive, wherever they work in the world.